Hello Everyone! 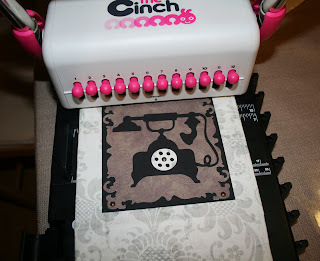 I am Susie McCormick, known as Susiemccormick on the Cricut Message board! The hardest part about this project was coming up with what to create using the Sentimental cartridge. I decided to make computer password journal but you can change the word file and make an address book or even a calendar. This is the only cartridge you will need for this project. Cut and attach, with red tape, the two sheets of same patterned 12 x 12 of paper to make a 12 x 24 sheet of paper. Trim this down to a 7 x 15 sheet with the seam in the center. This will be the paper for the outer cover. Save your scraps for the letters later. Lay your chipboard down against the wrong side of the paper leaving 1/8 inch gaps between the chipboard pieces. 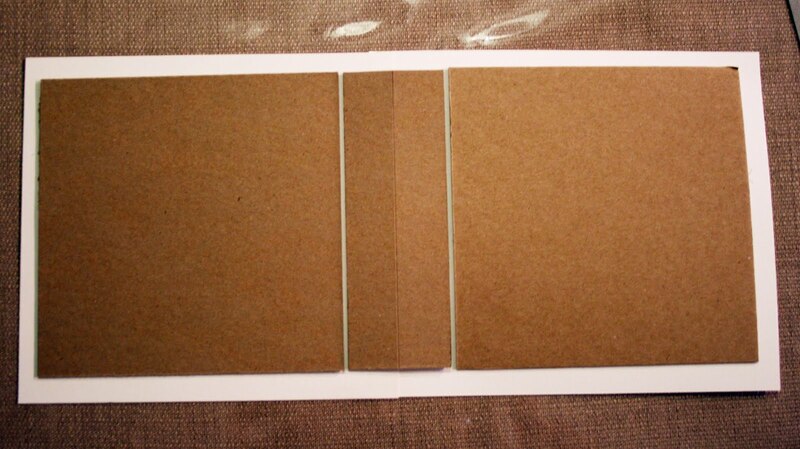 Make sure that you have a ½ inch border of paper around the chipboard to fold over. I attached some adhesive to the chipboard so that it did not move around while I am covering it. Attach red tape, to all of the outer edges of the chipboard and miter the corners of your paper. Fold your paper over and burnish with your bone folder. Cut your coordinating piece of paper into 2 -5 ¾ by 12 inch sheets..Attach these together with red tape and trim to a 5 ¾ by 13 ¾ sheet with the seem in the middle. Save your scraps for the alphabet tabs. Attach this to the uncovered chipboard using a strong adhesive. I used my ATG gun for this. Make sure that you score, with your bone folder, between the gaps in the chipboard so that you have nice creases. Cut a 4 1/2 by 4 11/16 sheet of black paper. 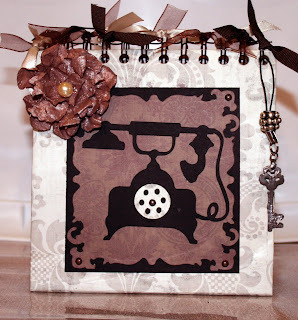 Cut out the mat and phone with the gypsy file and layer on the black cardstock. Attach a mini brad to the center of the phone dial. Attach this to the covered chipboard base. I attached a brad to each corner of the mat using my Big Bite Crop-a-Dile. Next you will have to attach your binding. 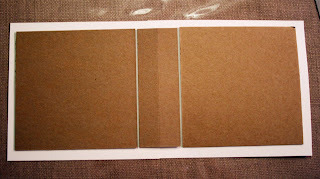 You will need punch your binding holes at both ends of the covered chipboard cover along the 6 inch sides. Make sure that you center the holes the same on both sides so that they will line up when folded later. Print off 10 pages of your password sheets. Here is my word document. Trim these to 5 in x 5 in sheets and punch binding holes along the top. Make sure that you have these centered with the holes in the chipboard cover. Fold your chipboard cover so that the lining is on the inside and the holes on both sides meet at the top. Add the password sheets to the side without the phone and bind. 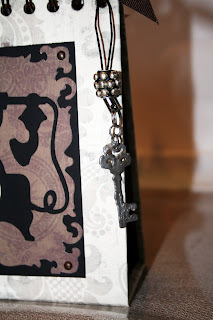 Cut your key out of chipboard or grunge paper and heat emboss. I used silver embossing powder and distressed with black ink. I attached the key and a bead to a phone lanyard and attached it to my binding. I then tied matching ribbon to my binding to decorate. Cut out the five tabs from the extra lining paper. Fold each one in half and add the letters from the gypsy file. Attach the first tab to the first sheet and then every 4th sheet, staggering them. 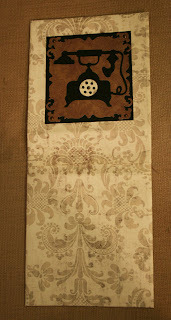 I used Tim Holtz's mini stapler to attach them. Next, I made a vintage 3 -D flower using a file I created from this cartridge. You could use a premade flower from another cartridge but I really challenged myself to only use the Sentimental cartridge. I got the idea for making the flower from this blog. She has a video tutorial but I just got a Flip camera and have been wanting to do a video tutorial. After you make your flower adhere it to your cover. I hope you enjoyed my tutorial. I had a fun time putting it together once I decided what I was going to do! What a wonderful idea!!! LOVE THIS. I am always writting down and searching for my passwords. With work and all the different sites I have to use I have about twenty different passwords that change monthly. This would be great, I could just write in pencil! Thanks for this great idea. Oh, I just love this! What a delightful gift. Hmmmm, I think this is going on my project list. It's wonderful, wonderful! I think I may have missed a step... Once you get it all made and bind it at the top, how do you open it? You don't open it.. It stands up. One side is the phone and the other side is the password pages you printed.. It is not a book but more of a self standing thing. Thank you so much for this post. I want to let you know that I posted a link to your blog in Creative Busy Hands Cricut Freebies Search List, under the Elements post on Jul. 30, 2010. Thanks again. This is even better than on the MB! I love your creativity! Thanks for sharing and keep the ideas coming. I love this project! it's gorgeous!